He embodied everything that I felt I was missing or have lost: youth, beauty, vitality, charm, talent, genuineness, quiet confidence. 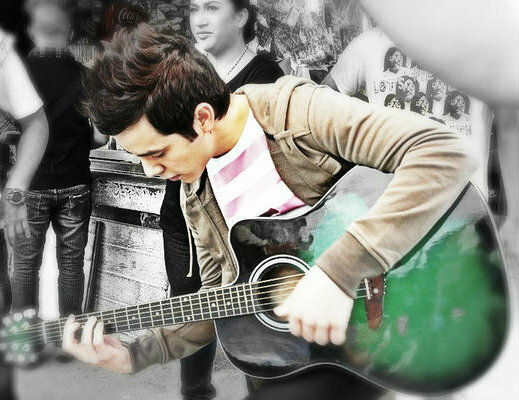 His beautiful singing enveloped the whole amphitheater surrounded by red rocks in the cold November evening. There he was on stage, confidently alternating playful, folksy banter with the audience and singing filled with youthful passion, yearning, energy, playfulness, tenderness, and compassion. His voice had transformed from the angelic, pure sound of his teenage years into a warmer, deeper, sensual sound of a young man at the peak of his life. I became his fan by accident. When IOS 8 song recognition feature first came out, it kept recommending David Archuleta’s songs no matter what I sang to Siri. (I don’t sound anything like him and I am a terrible singer.) After being annoyed initially, I gave in and listened to his rendition of “Silent Night”. From the first note, I was struck by the beauty of his voice. His tone was like the most intimate, tender whisper, prolonged. Each phrase was infused with tenderness. So many nuances of gentle crescendo, heart-wrenching surge, perfectly-controlled decrescendo and phrase endings that sounded like caresses. Each verse sounded more intense and the part that hit me like a sledgehammer came after the stirring orchestral modulation up to E Major. His rendition of the third verse there sounded like his entire heart just tore open with unbearable feeling of love and adoration. I suddenly felt a surge of endorphins in my brain like the time I indulged in dessert wine and chocolate together. Only it was much more powerful and I felt my throat and chest feel tighter with overwhelming emotions. I felt tears welling in my eyes. It was as if a gate had opened and all the emotions I had suppressed, didn’t feel entitled to, flowed out at once. I also yearned for what I think he was feeling – heart filled with awe, love and devotion. I listened to that recording all day long, then listened to anything I could find on YouTube of his singing. I found out about his concerts in Utah from his equally obsessed Twitter fans. I had created a Twitter account just to follow my new idol. 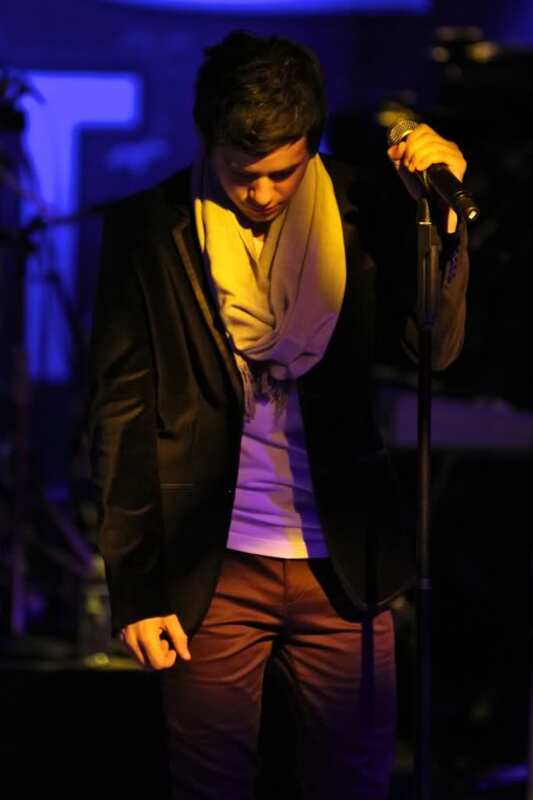 There I was at the amphitheater, bundled up, soaking up everything that this young man put out on stage. He closed his eyes often when he was expressing strong emotions and he danced adorably around the stage during the more upbeat songs. I was surprised that the object of my obsession looked so young. His quick eyes, when he had them opened, scanned the audience and seemed to take in everything. They expressed fleeting moments of amusement, minor irritation at times, alarm, brief, icy look perhaps at people looking a little too intensely at him. I don’t think he is quite the clumsy, innocent nerd he portrays himself to be. Very serious, thoughtful and disciplined maybe. What was I doing there? What did I want from him? All I know is that I was not thinking about any of my problems during the concerts. 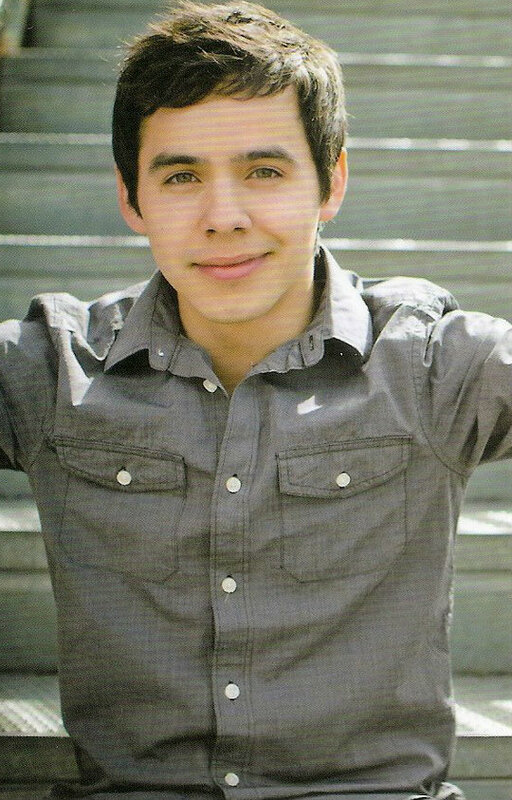 I was enchanted and bewitched by the beautiful sounds coming from this beautiful young man, David Archuleta. 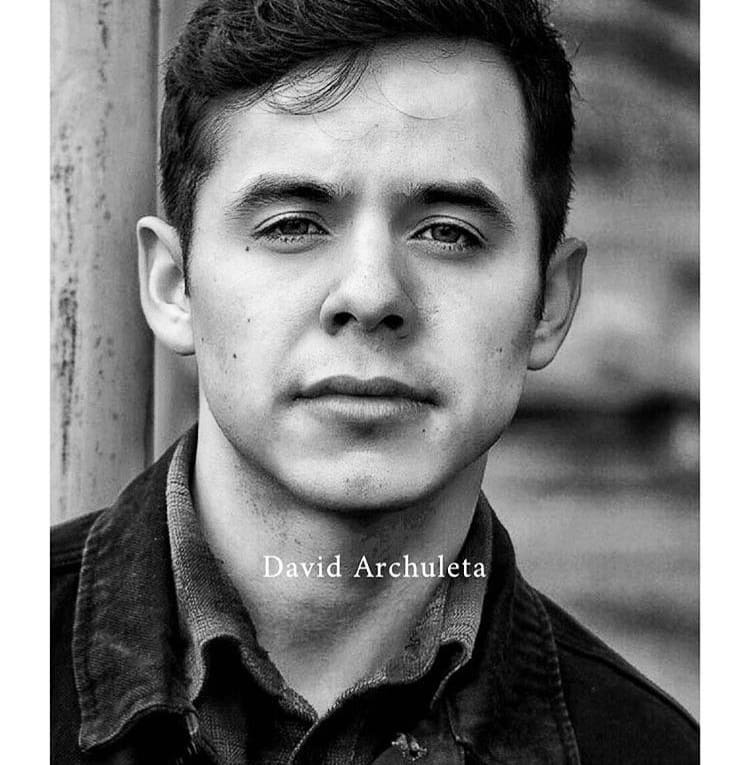 This entry was posted on Tuesday, June 28, 2016 at 10:18 AM	and is filed under @DavidArchie, David Archuleta, fandom, The Voice. 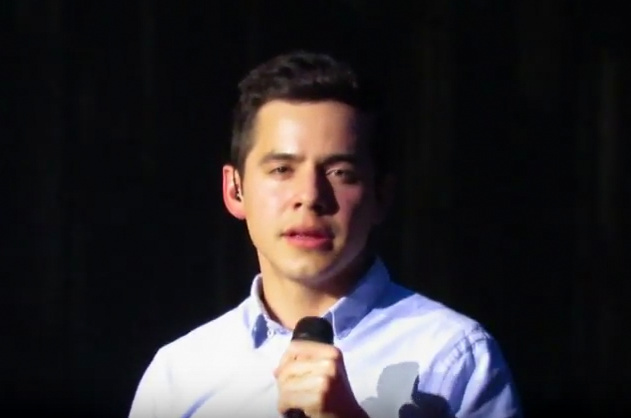 Tagged: Christmas from the Heart, David Archuleta, feeling his voice, have mercy, ODD, Silent Night, singer, Tuacahn Ampitheatre, what just happened?. You can follow any responses to this entry through the RSS 2.0 feed. You can leave a response, or trackback from your own site. I also became a fan-by-accident. Your article is articulate and totally believable. I bow, nod, and shake hands from afar. Stay in there. What do we “want” from him? Kinda hard to say sometimes. Just: be who you are, DA. It’s like: what would I ask of the sun? Just, shine. Thank you for sharing your newbie fan experience. I can tell you that every emotion you felt was common to all of us fans. I like hearing how someone discovered David’s music and yours is as unique as they come. One fan reported that she got bit by the ODD bug just from watching David singing a duet with Mylie Cyrus on her show. You have a gift for writing down what lives in your heart. I hope you will continue to write about your David journey and share here as the spirit moves you. Thank you, Jenny, for sharing with us your move to ‘our world’. Each of us is unique in the way we found David, but we are one in heart regarding our love and admiration for this young man. The man with the voice and spirit that touches our souls, and leaves us better than we were a few minutes ago. And, a word of caution concerning your feelings: don’t fight it! We all gave in a looooongg time ago and just go with the flow — it’s a good place to be. 😀 Welcome to The Voice. Come back daily. We have a cozy space to talk till our hearts are content. Umm, Abrra, that top pic in #1. How beautiful does it get!!?!! Wow, wow, wow!!!! That was the most beautifully written comment ( sorry, I know there is a better word for it, but can’t come up with it, old age I guess) You said everything I have always wanted to say about David, and when he sang Silent Night, I was brought to tears watching him sing that, the feeling was very strong and it went out and captured every ones heart.. she expressed it perfectly, there is nothing I can add, except the fact that he got a standing ovation for that, have you EVER know anyone to get a standing ovation for singing Silent Night??? He is the most enduring young man, appeals to ALL ages, you can see that at every concert! At Tuacahn last Nov. I was there, freezing to death but David warned it up as he always does. I am going back again this coming Nov.
Jenny, you should become a writer, I would love to print your comment off to read it over and over, if I knew how!! It was excellent and if you are a writer, you are a darn good one!!! Thanks for saying EVERY thing I have always wanted to say about David, you said it musically. I really love this guy, can’t go through a day without listening to him sing. He has always filled my lonely days with joy. I am an old grandmother!!! 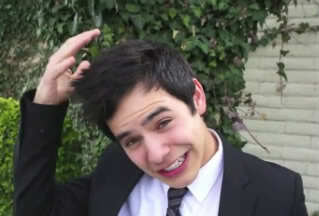 you don’t have to be young to love David! Thank you for that wonderful read!! Jenny, on all counts…you nailed it. Straight forward and to the point, I think you’ve described a lot of fans’ experience in one way or another. The power David’s voice and emotional connection to the music, and its affects on me, is still something I can’t quite wrap my head around entirely, or ever will if I haven’t yet. Often it’s best felt but describing it falls short…you’ve done as best as I’ve read in a while. My experience with Silent Night (my immediate favorite off CFTH cd) was so similar…thank you for putting it into words for me, all these years later. (“Love’s puuurrre light…still gets to me!) That tightness in your chest you describe…I recall so often having to hold onto my chest when the emotions struck me…sometimes having to stop the cd for a bit…too much to take in at once. He’s got that key to connecting to the music, the emotion, the lyric, the listener…that is unmatched. Anyway…it’s still amazing to read posts like this from fans who have felt the same. Thanks for beautifully expressing your experience and to the The Voice for sharing it. …and always to David…for that rare gift and the music. dang…I need to see a show soon. Thank you all for your kind comments! 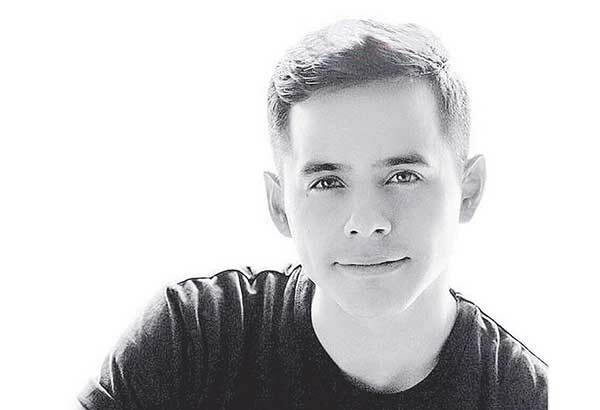 I didn’t know my reaction to his music is so universal among Archies! 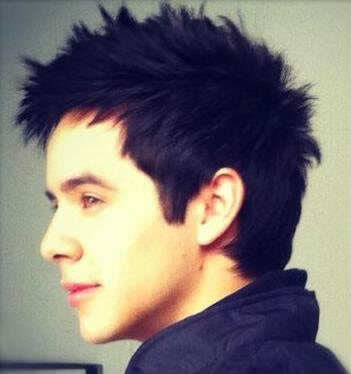 When it comes to David, my heart just ..I don’t have words for it! Thank you for the warm welcome and I can’t give enough thanks to all those who work on these fan sites for all the hard work you do for David every day. Looks like he is up to some church stuff on a Tuesday. Thank you Jenny for your beautiful story. A well-told tale that helps us all explain our thoughts of David. I have spent a couple of days on the road with David music for company. It’s great when I have that much time to get through all my David stuff, mostly from Abrra’s candy jar. A coincidence that when Silent Night came on this morning I was overwhelmed with how special that rendition is. Surprised to find it here today in the middle of summer. It would be a shame to only hear that one month of the year. And Tuacahn was a magical experience. Can’t wait for the next one. Add my name to the list of smile lovers from the pic at #1. No vestige of a “clumsy, innocent nerd” there. I listen to Christmas music all year long. I can’t wait to see all of u at Tuacahn! David came into my life at the right time, and every day I thank for it. 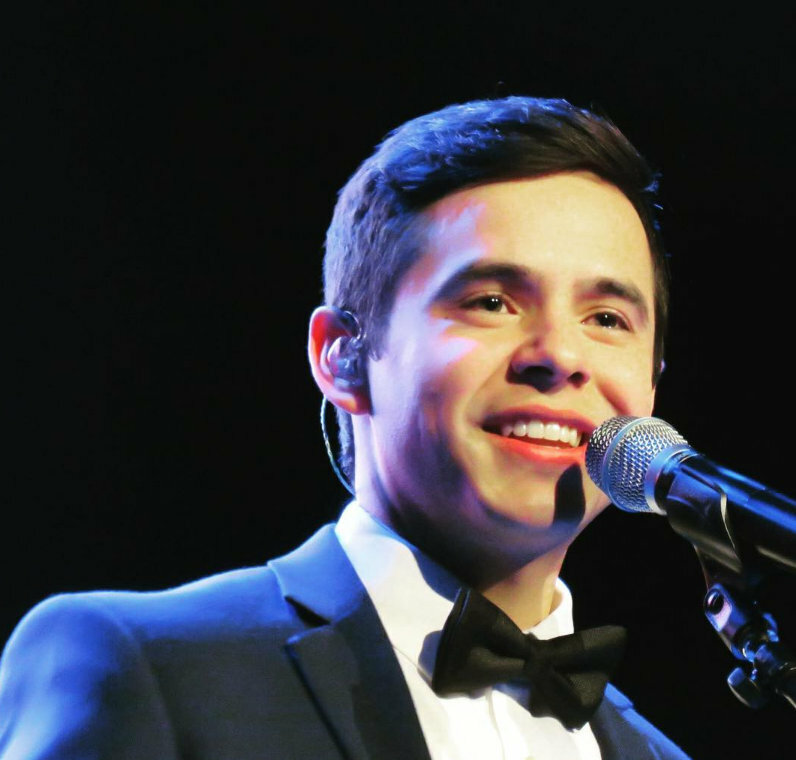 I saw David in St. George, in November last year for the first time (before I had seen Elder Archuleta) .he surpassed all my expectations. I understand your feelings Jenny, because I have the same feelings too. Thank you for sharing with us the unique way you became a fan. Your article warms my heart and makes me feel like a senior in school, welcoming in a freshman. 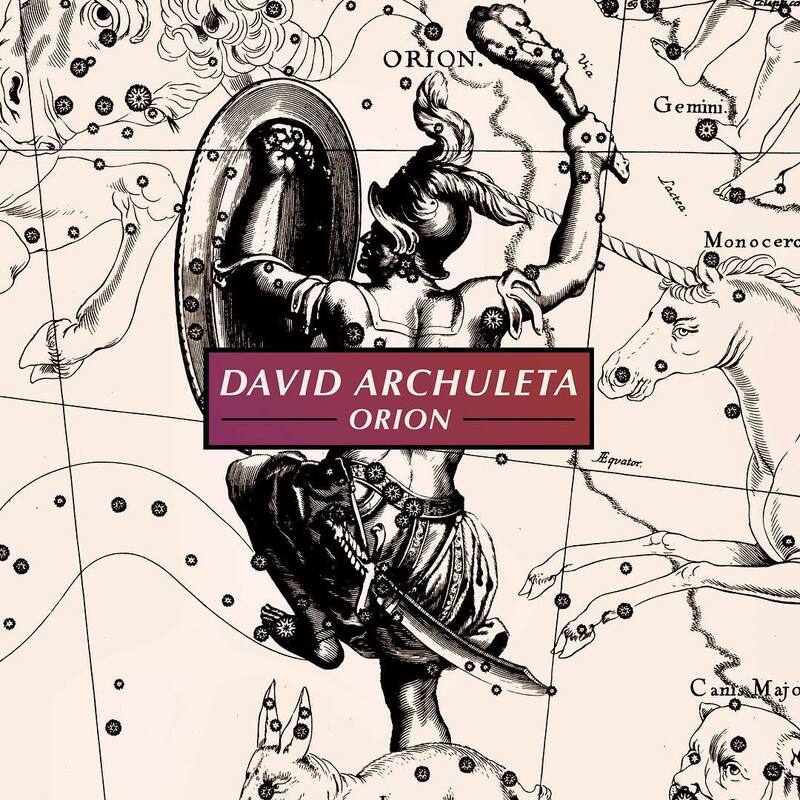 Most of us have been here since David was a contestant on Season Seven of “American Idol”, eight years ago so all of the emotions you’re going through are familiar. As for his “Silent Night”, you’re preaching to the choir, pun intended. LOL I remember being online with fans when we first heard it. We played it over and over again at “….love’s pure light”. We just couldn’t get enough. His entire Christmas cd “Christmas From The Heart” is Grammy-worthy, IMHO. Try to attend one of his Christmas shows, if you can. I liked “The Prayer” and “Glorious” but something about some tracks on his some of his older albums, they sound infinitely better live. Visual is not bad either live, I have to admit. Jans11 and Gladys, I’m glad we feel the same about David’s music. I love it best when he sings lyrical songs, but I love his voice so much, I’ve come to like “Crush” too like those teenagers. I’m sorry I didn’t address each of you individually earlier. My life during the day now is very ..hectic right now. 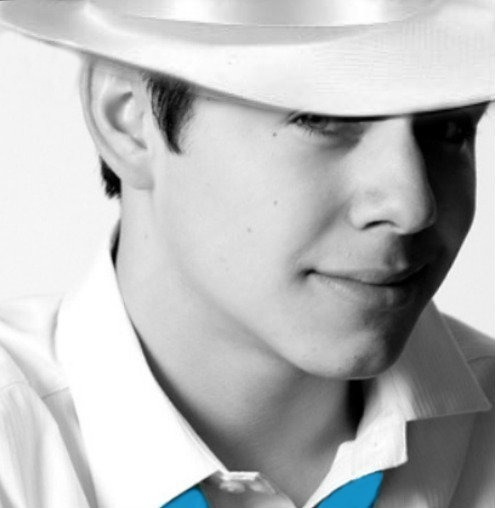 I’ve got my Bose headphone and David songs geared up to help me through the day! God bless all of you kindred souls! Thank you Bebereader! And thank you for the wonderful edit! Definitely one of the greatest joys in my life also! I can only go to Christmas show if it’s in SoCal because of family from both sides, so keeping my fingers crossed! So happy to see you again Gladys! 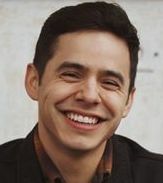 I looked up your articles about seeing Elder Archuleta in Chile so that Jenny can share the excitement you felt on your first time hearing David sing live. Gladys is from Argentina. She went to see David twice at LDS sponsored events in Chile in 2012. I hope you can take a few minutes and read these older articles. I think you can relate to the experience. Wow, Gladys! I loved your piece you wrote after attending the devotional in Chile! Thank you Abrra for sharing the link! I can just picture the David mania she described there! 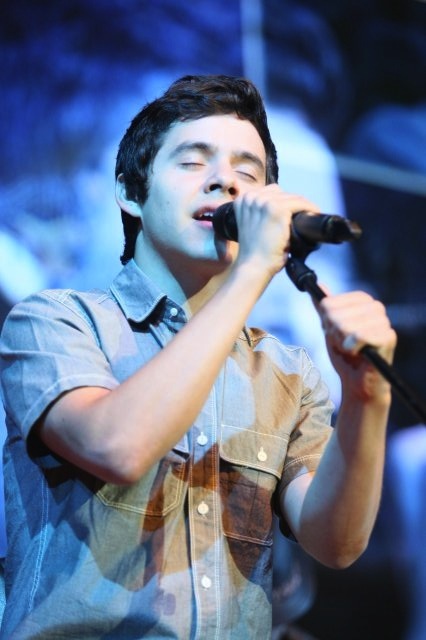 Yes, I can relate to all your reactions to David and his singing! I think you were at Tuacahn too, right? Hope to see you this November also! You went to one more where he sang Eye of the Tiger? When was that? I can find a post by month/year in the archives. That was a truly fun post. Reading your beautifully written piece made me teary. It’s filled with admiration and love for this wonderful young man but expressed with so much heart. I felt your words, you have a gift. Thank you so much for sharing them with us. I was blessed to have been able to go to Salt Lake to see David with Motab, it is an experience that I’ll forever cherish. I had heard him sing Silent Night but Motab was epic. The arrangement was the same as the recorded version and his voice had a life of it’s own. There aren’t words to describe the sound coming from him, it touched my soul and all of 22,000 in attendance by their reaction. Everyone jumped to their feet including my husband, unforgettable. And a shout out to Bebe and Abrra, my wonderful co-adms! Hi DJA! You are so sweet. I thank David for bringing such a sweet, smart lady like you into my life! 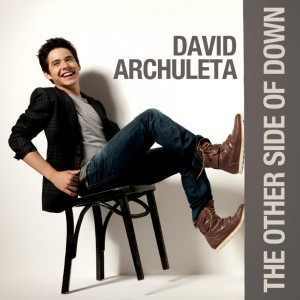 When I talked to you, I was so surprised that we had almost identical reactions to David! Now I see that there are others! I didn’t know you or anyone at Tuacahn but everyone was so friendly! 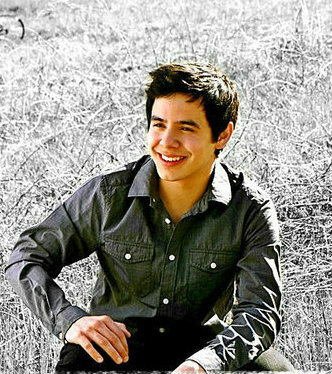 I want to see a David Christmas concert!! I want to be more like you – smart, kind and considerate and fluent in Spanish! Shelley has a ton of Safford pics on her Facebook page to click through. 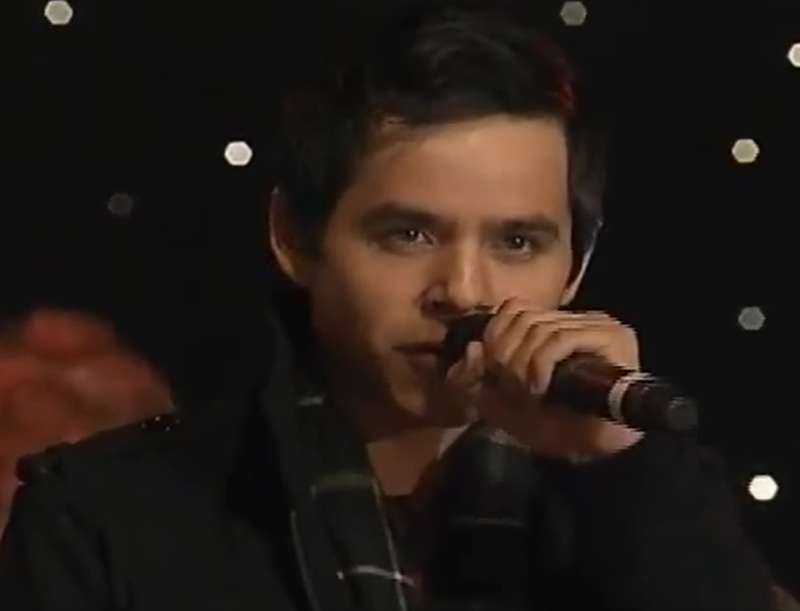 As I was reading your beautifully eloquent post, I paused to dwell on the Silent Night video, and well, before I knew it I just fell down the rabbit hole for a couple hours haha ..ended up watching the entire Christmas From the Heart tour of 2011 and more. It happens. Nobody does Christmas songs like David. Silent Night ……when I saw him sing it live,well.. tears wet my cheeks before I knew what was even happening.Somehow he elicits chills,and breath holding, and physical responses from me when he sings that no other singer can do..
Kind of just opens your soul and lets it breathe,and all while he’s operating…on your heart. Thank you Sky! I’m so jealous of people who got to hear it live! But David can sing anything and I’m in heaven. Hearing him live is bliss. Thank you all for commenting and welcoming Jenny! She’s a sweetheart. And Abrra that’s not David, does look like him at first glance. Hi Jenny! Welcome to Archu-Land! I read your post to my hubby, when finished he said, “I know that girl”! There are a whole bunch of really fabulous folks who “feel you”! Thanks so very much for sharing your “finding David” story with us! Great image of reaching out! But that “new music coming” is music to my ears! Probably going to release a few songs at a time, but that’s ok…It’s new music! 🙂 Night everyone! I miss our meetings Saturday night. Jan no stress. An admin will always get the tweets and IG’s posted. This IG has a bit more music info. 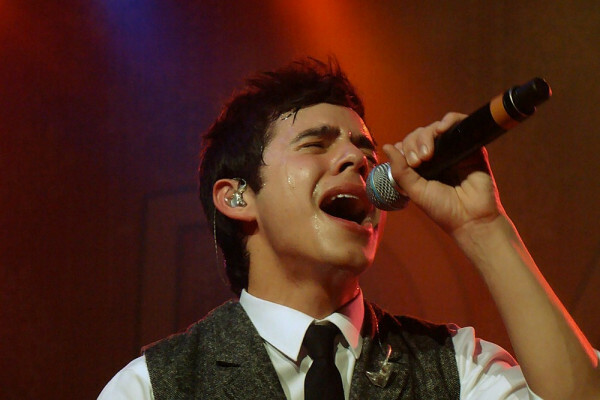 I found Gladys’ 3rd article about seeing Elder Archuleta perform. It’s a wonderful read and the song list is an impressive mix of inspiration and Spanish salsa. The Archive menu on the left sidebar is a treasure trove of goodies. Pick any month and I can guarantee you that David will keep you smiling. Thinking about his picture in the instagram above and where he was when he came home. I heard that someone tried to pull David off the stage? You pay good money to get good seat and people randomly just walk up and block your view. Too negative? Anyway, he looks adorable. So excited for new music!!! More than once, David has asked the crowd to back up so that folks won’t get hurt. Once he gave his water bottle from the stage when a fan fainted in Boston. But that was not a mosh situation, she just got overwhelmed. This crowd in the IG was only about 6 ppl deep (saw them rush the stage in a video) all young teens, so I think there wasn’t any real danger. This was posted 1 day ago but not sure what stage that is. The suit is throwing me off . It’s the same day as #9 above. GAH!! Can we see enough military David?? I had to make a puzzle! Still don’t like mosh situation..no way to know who is coming and can get out of hand. Do NOT block my view of David little girls! I’m not one of the nice old ladies. Abrra, Instagram is all kinds of win!!!! I don’t believe Jenny knows the chair incident in Arizona because of the young ready to rush the stage. Back to the archives to September 2011 to find out just who started the chair mosh. Hahaha I just read the chair moshing entry. Liz-mags and I think alike but I wouldn’t have dared to move my chair. #28? Uh oh. Lol. Thank u for the welcome. I love having these platforms where we can share our love for DA music and also DA (for me) so freely! I hope you read the comments. 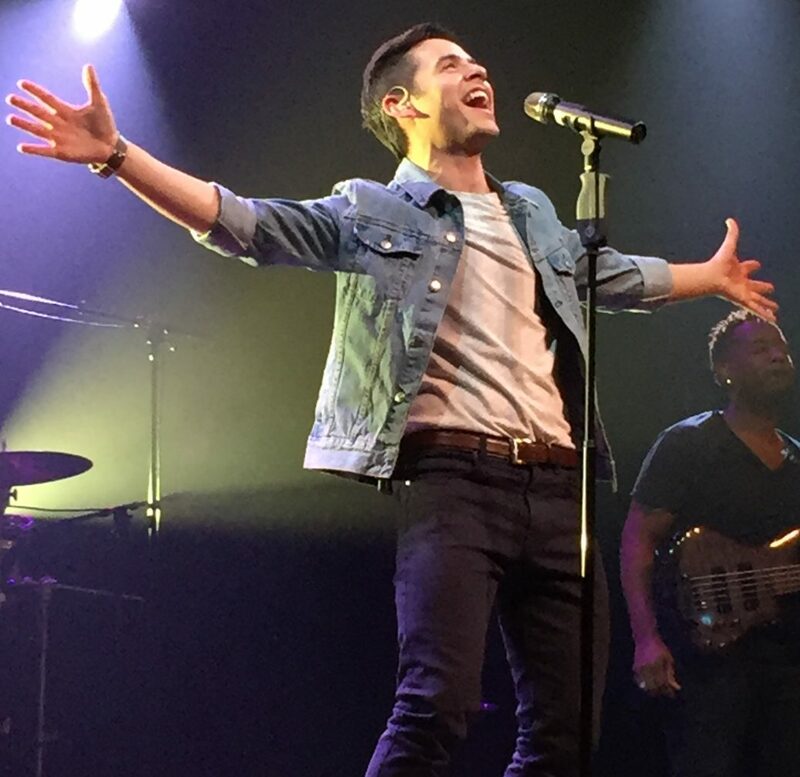 So much more info and mini recap’s by fans who attended the show which was called “This Is Not A David Archuleta Concert” 😉 Someone on the staff said that to Djafan and the fandom exploded with laughter. Your puzzle was 9 times the fun, Abs! 🙂 Thanks! I also had the privilege to hear his Silent Night live. He has given me so many good memories! Loved MOTAB! That was a great 4 days! The worst mosh pit was in Wichita, KS when me and my daughter went to the concert that David was part of. There were about 8 different singers that performed and the young girls were so crowded in front that they were passing out and being taken out by the security guards. We were sitting over to the side and wasn’t about to get in the middle of it! 🙂 A friend was down there with her daughter and said it was terrible. 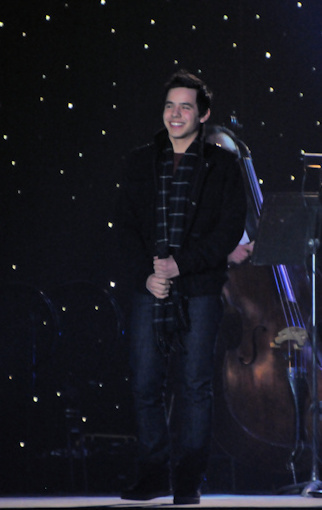 David was sick and sitting back stage with a towel over his head, but when he performed he never faltered! He was awesome as usual, singing 4 songs! 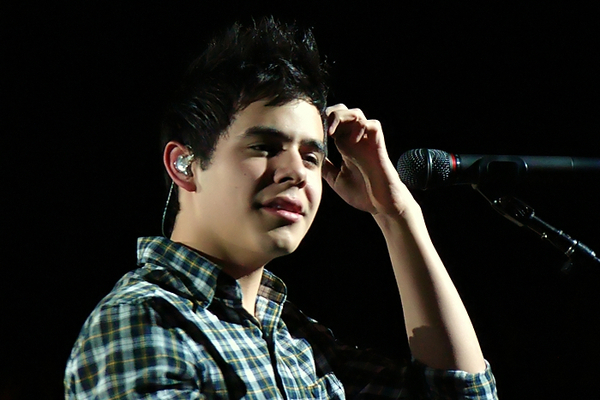 Here is David singing SBL in Wichita! I know it looks like fun but it was a mess. I have been on the front row in one and it was fun..this not so much. Lets do this 🙂 Sometimes a song riff just needs a video to match the rhythm. I know what you mean Dja. I got kinda nostalgic sorting though the archives. Such a beautiful collection of memories shared by fans. #49 bwahahaha don’t ever post that again, Abrra! I might accidentally on purpose post comments about that guy and his outfit and the Archupolice will come after me. BTW hello, Jenny the accidental fan! That’s the best kind of accident anyone could ever have. The first step is admitting you are powerless 🙂 Good job! Thanks to Shelley for today’s Sunday puzzle. sorry I’m late.. Jenny, loved your recap! I find it so cool to hear how people became fans, esp. when it wasn’t through American Idol… Siri is obvs. 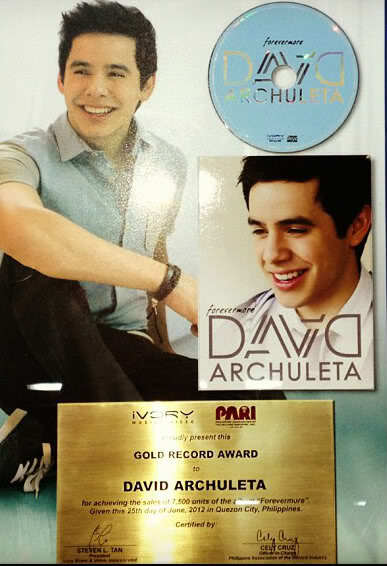 a big David fan, lol. Lol Siri has good taste or David people have some pull w Apple. Thanks 4 Nandito clip! I would love to see him on American TV as a villain!i don’t think he would do it though. We have a whole video channel devoted to Nandito Ako. Plus, I added David’s Face to Face chat video. You can click on the video in the library below the main screen to play on demand. That reminded me of this one. Cutest thing ever! He needs to make a movie – in Hollywood. #60 Yes, Jenny. 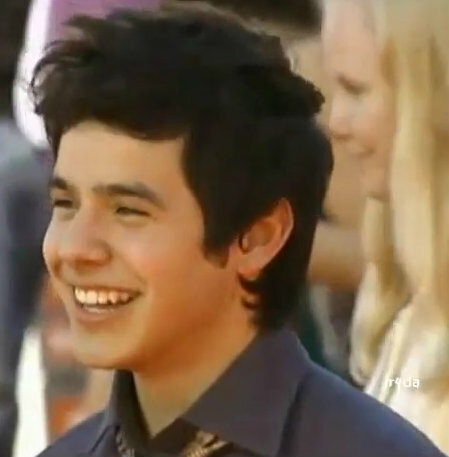 David on American TV as a villain, a wolf in sheep’s clothing kind of role. That would be rad! How about a rom-com? Or a tragic romantic drama in which he gets killed off in the end; a 5-handkerchief sob fest! But first of all, I need that new album, EP, music in whatever form followed by a Spanish album. Oh, and a world-wide tour! Lol, I don’t want D to die even as a TV character! I think D is very selective now. I’m scheming ways of becoming rich so I can go to all his concerts. Lol you guys are cracking me up! Most definitely David needs to be in movies, just don’t know if he wants to ha! That’s a good VIP question!